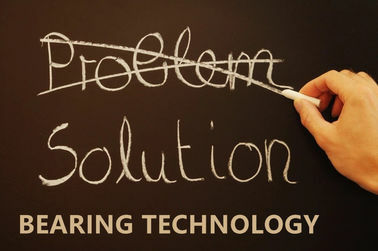 What is Cast Bronze Bushings? JDB bushing JDB material is made of strong cast bronze based metal with special solid lubricants embedded. This material provides a maintenance-free bearing solution, particularly for high load, intermittent of oscillating motion.Cast Bronze Bushings is made of Cast Bronze Bushings with Solid Lubricant Inserts, the base metal withstands high load and the graphite provide self-lubrication. 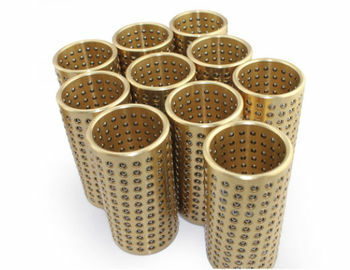 Solid Lubricant Casting Aluminum Bronze Bearings Bushings with Solid Graphite Lubrication. Various material specifications, standard and special shapes are also available. 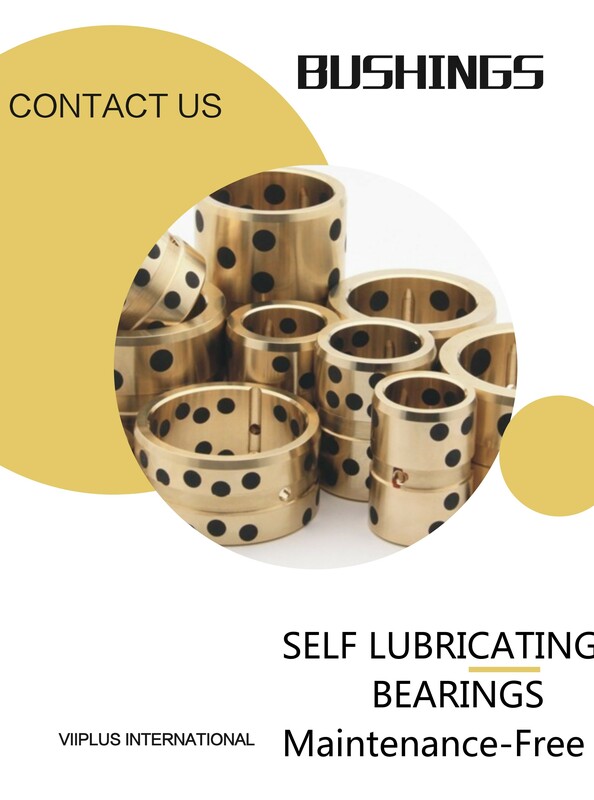 VSB-50 SOLID LUBRICANT SLIDING BEARINGS material is made of strong cast bronze based metal with special solid lubricants embedded. 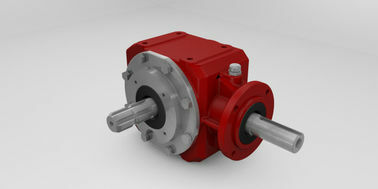 The base metal withstands high load and the solid lubricants provide self-lubrication. The bearing shows excellent performance without pre-lubrication under conditions of extreme high/low temperature with low speed. This material provides a maintenance-free bearing solution, particularly for high load, intermittent of oscillating motion.The lubricator, which is based on maintenance-free solid lubricant or graphite, is embedded into the steel or bronze of the sliding bearing. 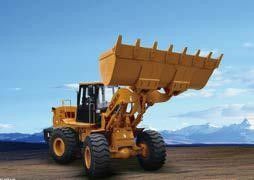 The lubricator makes it possible, and easier, to work in dry environments. 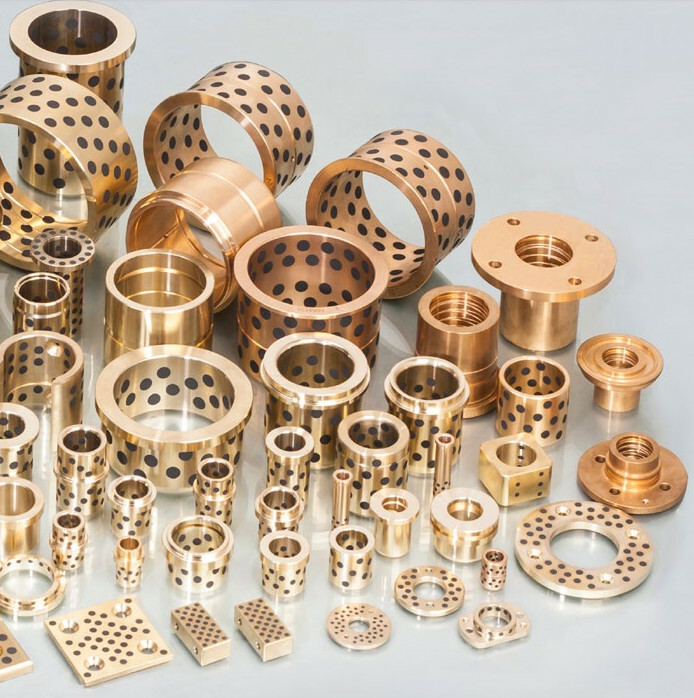 Viiplus bronze gleitlager sliding bearings are more resistant at higher temperatures com-pared to other types of sliding bearings. 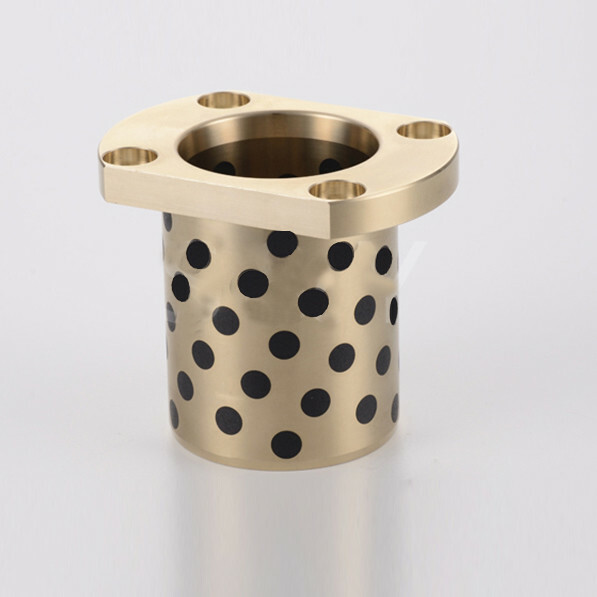 Viiplus graphite bronze bushings widely used in molding machinery injection molding machines, rubber machinery, die-casting machines and other occasions. Fibro/Misumi Standard Size In Stocks,Best Quality with Best Price !